"Um, why am I here, Miss? Uh... the Sídhe want to kill me?" "Oh, they mean to do more than kill you, child. They want to twist you. To crumple you up like an old sheet of paper. I'm here trying to save you, and you don't listen to a word I say!" The principal doesn't normally teach class herself, but Chapman is having one of her "days" and won't recover until her stash of alcohol has been exhausted. Ms. Breen already has the paperwork ready to fire her. And several other teachers are on the list too. But Ms. Breen is made of sterner stuff. She herself is of the lucky generation that passed through adolescence just before teenagers started turning up with terrifying, impossible mutilations. She remembers airplanes leaving Irish airspace, only to fall empty from the skies. She recalls reading about the last ferry to leave Dublin, about how it ran aground on the Wicklow coast with no life on board apart from rats and lonely pets. And she had a younger sister, Antoinette's age, whose body she was never allowed to see after the Sídhe Called her. One of the new books I was most anticipating this fall exceeded my very high expectations, and it's now my #1 recommendation for your Halloween reading this year. Read my review of Peadar Ó Guilín's The Call and see why I gave its chilling blend of horror, fantasy, mythology, and science fiction a rating of 5 out of 5 stars. - Go here to read the first ten pages of The Call for free. - Go here to listen to a free excerpt of the audiobook of The Call. I first met Irish author Peadar Ó Guilín in Montreal during the 2009 Worldcon there, where I had the pleasure of hearing him read from his work. At that point I was already a great fan of his novel The Inferior (2007). (I heartily recommend it and the other two novels in his Bone World Trilogy.) In 2014, he was kind enough to invite me to be a part of the terrific Young Adult Track of programming he directed for the Worldcon held in London. At this year's Worldcon in August, I had the good fortune to visit with him, share a panel with him, and hear him read from The Call, which debuted last month. He's one of my favorite writers, and I'm so happy that he's agreed to do a little Q & A for my Halloween countdown. AHS: What do you find to be frightening? What chills the author who gives his reader chills? PÓG: Slow-motion car crash situations are what affect me the most. There's an amazing Margo Lanagan short story called "Singing my Sister Down". It has a slow form of execution, which is attended by all the members of the criminal's family. That horrified me. The awful, second by second inevitability of it. The impossibility of stopping it. AHS: Is there a specific book or story you would recommend for the season, because it's given you a lasting scare? PÓG: One of my favourite horror novels is Adam Nevill's The Ritual. It's one of those "hikers get lost in the wilderness and are hunted by a monster" stories, but is so deliciously, constantly tense that I couldn't let it out of my claws until I'd reached the excellent ending. AHS: How did you find inspiration in Irish mythology for the premise and plot of The Call? For example, am I right in saying that you're drawing from the same well as, but doing something quite different than, William Butler Years in his 1889 "The Stolen Child"? And why do you think it's important that we encounter stories based on the traditions/histories/mythologies of different peoples? PÓG: I drew from several wells. Ireland has more than one mythological layer. We have the heroic age stories of the old gods, some of which, in a later age, merged into fairy folklore. I'm not the one who invented the idea that the ancient Tuatha Dé Danann (The People of the Goddess Danú), banished from Ireland, became the child-kidnapping fairies of later stories. People who read a lot of Science Fiction and Fantasy are constantly on the look out for originality. Well, every old culture in the world is a massive box of stories and concepts we haven't heard before. I know about the Irish ones, of course, because I grew up here. Believe me, some of the tales are incredible. We have literally thousands of years of what people spent the winter creating, when the only entertainment was their own imaginations, and their inspiration was the freezing dark outside. AHS: What is the main takeaway -- message, mood, or both -- you'd like readers to leave with after reading The Call? PÓG: Honestly, my main concern is always to write something that the reader won't want to put down once they open the first page. I'm not saying I'm always successful with that, but it's what I care about the most. Of course, the book has themes, the things that *I* thought about as I was writing it, and sometimes in a review, I'll see that somebody else has spotted them too: the sadness I have over the slow dying of my culture; the fact that dead history has living consequences and so on. But readers will always see their own concerns in a story they're enjoying, and I'm always delighted when that happens too. AHS: What is next for you and your writing? 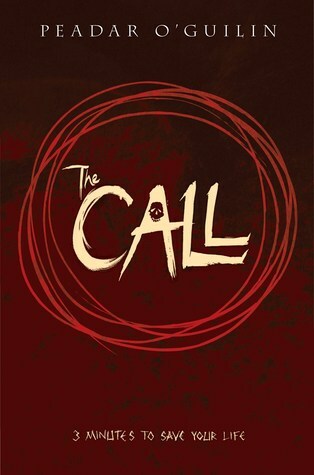 PÓG: I'm well into The Call's one and, hopefully, only sequel. After that, I'd like to write something less scary and more epic. I already have most of a novel called Orphan Continent that fits the bill. 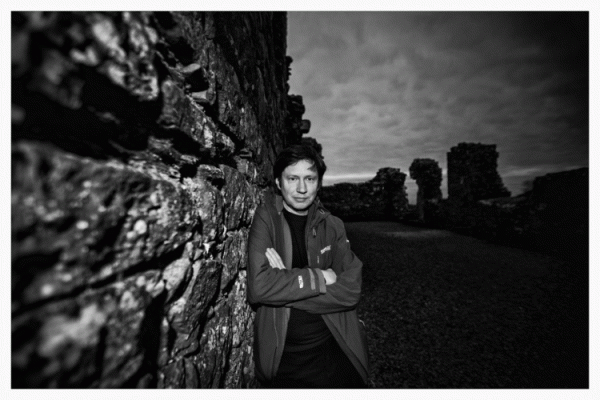 To learn more about Peadar Ó Guilín, visit his website and follow him on Twitter. Thank you for an wonderful post! THE CALL is an incredible book!! I am reading it for a second time, more slowly, as I was caught up in the story the first reading and couldn't wait to get through it. Now I am savoring the writing and the legends and history that the author uses so effectively. The book is horrifying and deliciously creepy but also very thought provoking. I look forward to the sequel. Thank you the interview and the free audiobook excerpt which convinced me I must hear the book too! Another great Countdown post!!! Thanks so much for this! I'm very happy that you liked this post, and I'm especially glad to hear that you enjoyed The Call. The audiobook version is excellent, by the way. I found it helpful to hear the pronunciation of some of the proper Irish names. Like you, I look forward to the sequel! Aw, thank you! It was a lot of fun to do this. There are so many different types, that I bet there's some form that you'd enjoy. You make a good point about there being a difference between visual and written horror, too! I hope you enjoy it like I did! One plus is that he wrote the novel like a standalone work. (He talked about this a bit at Worldcon.) So there's no cliffhanger and a lot of resolution. The sequel will add to the narrative, but you don't have to go into the first novel committing to more than one book, because it satisfies by itself. I know what you mean about getting into another long series!